Over the last 40 years, the Power Creative advertising agency has grown from a one office operation to one of the region’s largest agencies serving clients all over the world. The full-service agency provides advertising, photography, public relations and video services on its five-acre campus. Needing more office and warehouse space, Power Creative added a fifth building in 2008. Mike Burris, the company’s facility manager, was familiar with Lennox® products, and contacted the manufacturer for ideas on creating a comfortable space with good indoor air quality. With Louisville’s humid summers regularly topping out around 90°F—and winter temperatures sometimes dipping below 0°F—a reliable, energy-efficient HVAC system was a necessity. With five buildings to manage, Burris was also looking for ways to reduce service and maintenance requirements on the new 13,500-sq.-ft. building. 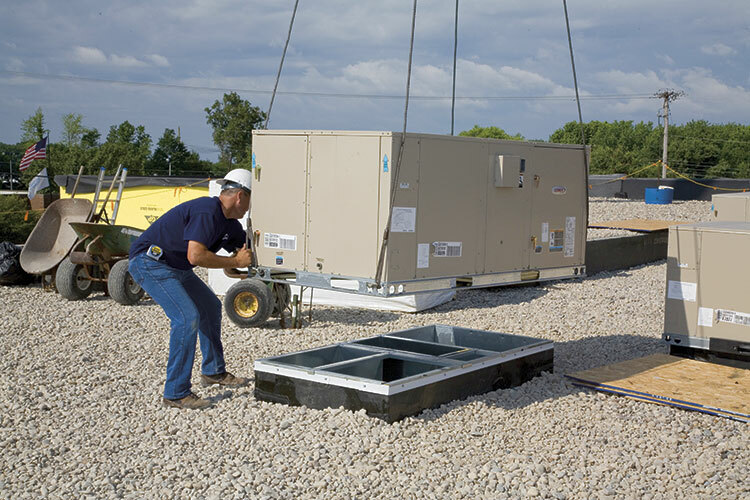 After reviewing the building’s blueprints, Wil Chapman of Chapman Engineering contacted Greg Luckett at Lennox and together they selected Lennox’ L Series® rooftop units based on the advanced comfort control and design for low total cost of ownership. Multiple compressors provide efficient cooling, while high- and low-pressure switches afford advanced reliability and optional economizers allow lower-cost cooling. Every L Series unit also features the Integrated Modular Controller for centralized control and fast, simple troubleshooting for reduced operational and service costs. “Wil was also impressed that the L Series units were designed for faster, easier installation, especially since the systems were being installed during a cold January,” Luckett says. Full perimeter base rails make for easier handling of the L Series units, while independent motor mounts allow access without removing the top panel. 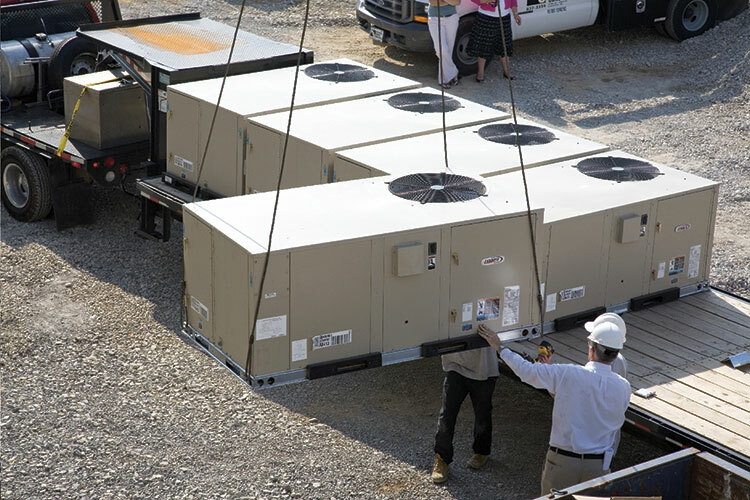 “The units arrived on time and were installed in a matter of days,” Luckett reports. Power Creative and Mike Burris are very pleased with the results of the Lennox installation. “Our goal was to get the cost of heating and cooling the building to $.11 per sq. ft. per month, and the heating bills have been right on target,” says Burris. “Several employees have also said they’re more comfortable here than they were in other, non-Lennox-equipped buildings. The L Series units have also helped Burris take more control of his time, thanks to hinged toolless access panels that provide quick access to HVAC components, a slide-out blower deck and an isolated compressor compartment that allows performance checks without disrupting airflow.